Photo courtesy of Qfamily via Flickr. 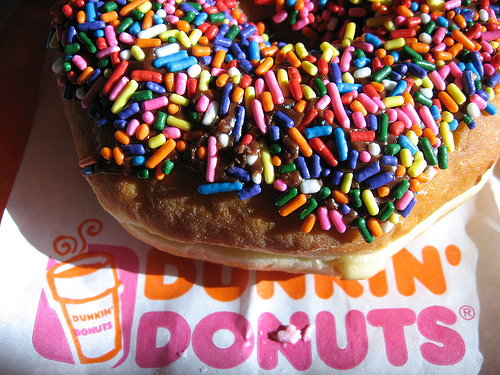 After news that Dunkin’ Donuts is coming to Louisville, I posted another super-scientific Ashlee Eats poll that pitted Dunkin’ Donuts against Krispy Kreme in a battle of baked goods. Though Krispy Kreme was my favorite, it turns out I was on the losing side. Team Dunkin’ won with 64 percent of the vote. Well played, Team Dunkin’. Well played.